Pittsburgh 360: Pittsburgh Ballet Theatre, Duckpin Bowling & B.U.S. aired on Apr 21, 2015. In this episode of Pittsburgh 360, we’ll take a look back at a tragic event in Lawrenceville history, give you a preview of an upcoming series, and, like a moth to the flame, we’ll draw you in with some true stories. In this episode of Pittsburgh 360, we look back to the early days of WQED, flash forward to its present, and focus on our future. We celebrate 40 years of WQED FM, see how children with disabilities are learning to play, and we'll give you a peak at the Best of WQED! 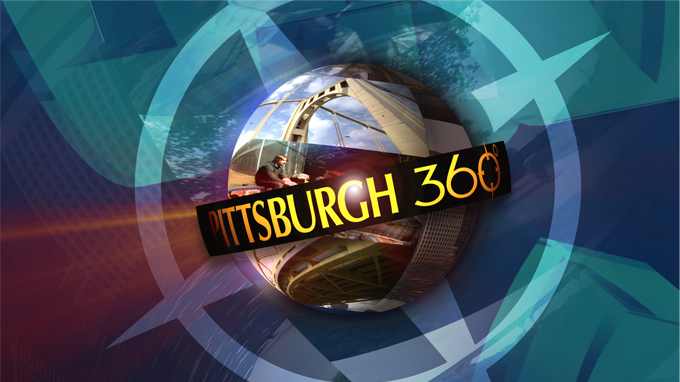 In this episode of Pittsburgh 360, we peek into the kitchen of one of Pittsburgh's top chefs who is cooking in a surprising place, Tonia Caruso steps into the kitchen of another man who is steaming up tea with a twist, and we're introduced to a musical duo taking a stand against bullying. In this episode of Pittsburgh 360, Michael Bartley follows the Clairton Bears to their historic Championship victory, you'll get drawn into the wonderful world of Wayno and we'll get in the debate over tattoo regulations.